* Reuling is the source of literally DOZENS of 95-100 point wines, most notably from Aubert. * Those wines are generally $125 and up! * Winemaker is pinot noir Jedi Master Matt Taylor (Domaine Dujac, Joseph Swan, and Araujo!)! This fact alone should have you sprinting for the iPad, phone or whatever you need. * 93 points, plus a VERY HIGH 92 score from the stingy and mostly Burgundy-focused Burghound! * 2012, baby! What a vintage! That's the really the big stuff you need to know (again, besides our absurdly low, once-in-a-lifetime price), but this wine is just ROCKSTAR. 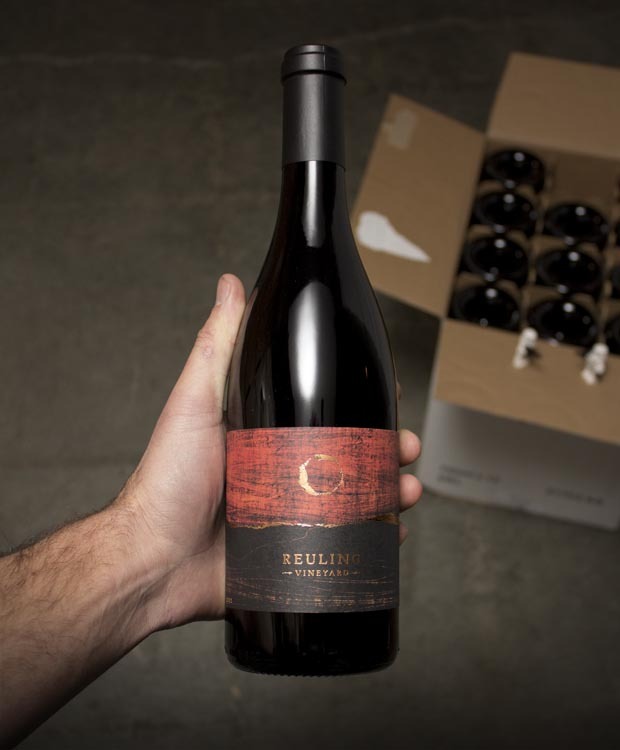 This is Reuling's OWN wine, from the best plots of the vineyard. It is quite possibly your epiphany wine as well, as it slices into your pleasure center like a lightsaber through butter. All rhapsodic histrionics aside, this really is a mind-blowing great pinot. Incredible plush texture, alpine strawberry and lavender, with fantastic acidity and a rich mid-palate. Long, complex and layered. PLEASE grab a few for special occasions...opportunities like this don't come often!! Super-limited!